 EVS and Quantel have been named as gold sponsors for the inaugural Fast Turnaround TV 2012 conference, organised by TVBEurope. Server and workflow company EVS is the gold sponsor for the inaugural Fast Turnaround TV 2012 conference, organised by TVBEurope. The conference, which will include a number of high profile case studies, will be held on 13 March at the Soho Hotel in London. Chair for the conference is well known broadcast consultant John Ive (pictured). After a long career with Sony, Ive is now sought after for both his technical and commercial expertise, and is also director of business development and technology at IABM, the trade association for manufacturers and vendors in electronic media. He has also been chair of TVBEurope’s annual 3D Masters since its inception. Fast Turnaround TV 2012 focuses on the live broadcasting of sport and other water-cooler events. Because audiences want to see these as they happen they are a very strong business prospect for broadcasters who remain captive throughout the event. Whereas once such a live broadcast would depend on dedicated hardware, realtime baseband audio and video interconnection and traditional skills, today the pressures for sophisticated production mean that an outside broadcast unit demands as much in the way of file-based workflow as any other application. Gold sponsor EVS, for example, provides a server infrastructure for many such broadcasts, which as well as supplying instant replays will support networked editing and asset management to deliver a number of different packaged stories both for the main broadcast and for added value online services. Techniques developed to enrich the immersive elements of sports coverage are now employed to make other genres, like reality television and shiny-floor entertainment, equally compelling and unmissable. Topics to be addressed at the conference include a look at how the production can share content between teams working on the main production, online, news and social media, and what technological innovations will drive coverage and boost audiences. A session will be given over to debating the optimum mix of hardware- and software-based systems. Full details and registration information for this important new conference can be found at www.fastturnaroundtv.comEVS and Quantel have been named as gold sponsors for the inaugural Fast Turnaround TV 2012 conference, organised by TVBEurope. The conference, which will include a number of high profile case studies, will be held on 13 March at the Soho Hotel in London. Chair for the conference is well known broadcast consultant John Ive. After a long career with Sony, Ive is now sought after for both his technical and commercial expertise, and is also director of business development and technology at IABM, the trade association for manufacturers and vendors in electronic media. He has also been chair of TVBEurope’s annual 3D Masters since its inception. EVS provides a server infrastructure for many such broadcasts, which as well as supplying instant replays will support networked editing and asset management to deliver a number of different packaged stories both for the main broadcast and for added value online services. Techniques developed to enrich the immersive elements of sports coverage are now employed to make other genres, like reality television and shiny-floor entertainment, equally compelling and unmissable… Quantel news and sports production systems are relied on by more than 100 broadcasters around the world. Quantel develops innovative, world-leading content creation systems for broadcast, post and DI. Its systems combine industry-leading performance with total scalability to enable productive workflows for post production, graphics, digital intermediate and news / sports production. Topics to be addressed at the conference include a look at how the production can share content between teams working on the main production, online, news and social media, and what technological innovations will drive coverage and boost audiences. A session will be given over to debating the optimum mix of hardware- and software-based systems….